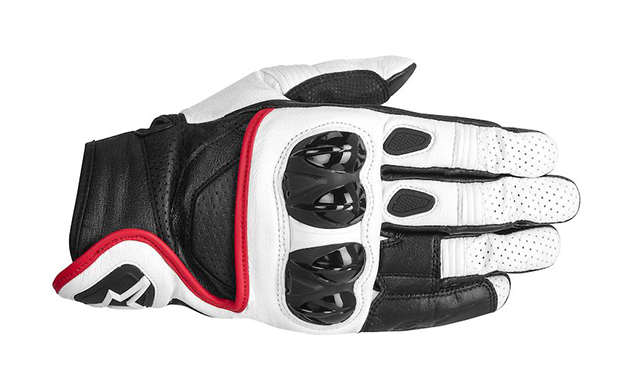 The deals on motorcycle gear keep coming and going, but just today we received the announcement that Revzilla is further slashing its prices on closeout Alpinestars gear, and there’s a lot of good stuff in the mix to choose from. In total the list runs 83 items long, including boots, gloves, jackets, and even a handful of full race suits. Granted some of these items are lower on the discount totem pole—in the 10-15% range, but there is still a lot to choose from in the 30-40% range, including many items that are not limited in terms of sizing and availability. Here’s a quick look at some of our favorite pieces in the sale. As an alternative to the classic moto jacket, and something that can be worn as standard outerwear in a pinch, the Alpinestars Tyler jacket has seen a hefty 40% price drop via Revzilla, currently selling for a very modest $227.97. This guy is definitely on the warmer side, which will continue to come in handy until we’re finally our of this bone-chilling winter we’ve been having to the north. 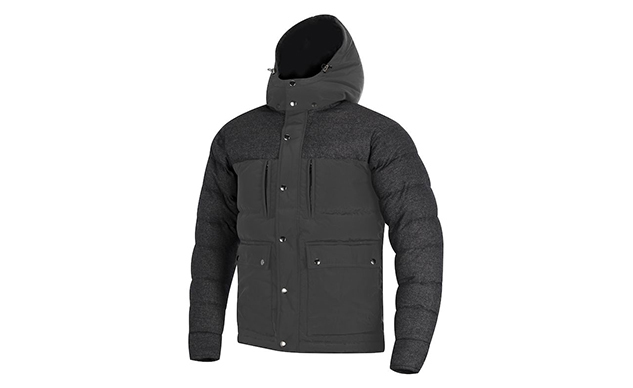 The jacket uses a combination of poly, synthetic wool, and down in its lining, has a detachable hood, and waterproof inner pockets to keep your devices and valuables away from the elements. From a safety standpoint it comes with CE approved shoulder and elbow protection straight out of the box, and has a slot for a back protection panel (sold separately) should you wish to add it in. If you’re in the market for a good all-weather touring/adventure boot, you’re in luck. The Gran Torino Gore-Tex boot uses a full-grain leather upper, and an integrated waterproof and breathable Gore-Tex liner to keep you warm and dry regardless of the conditions you’re facing. Riders consistently praise them for their comfort and fit, and though they aren’t dirt cheap the quality and value for a $209.97 sticker price is hard to ignore. 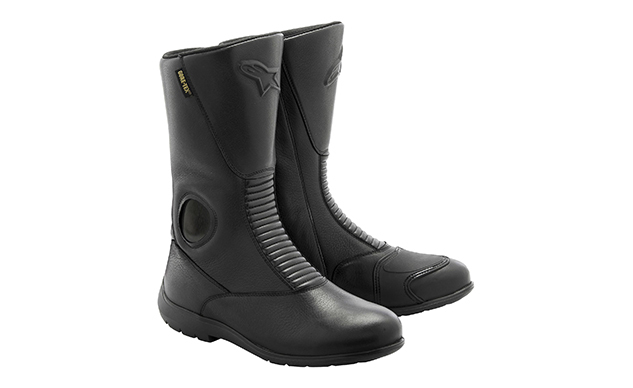 Unlike a lot of boots on the market these days (moto or otherwise), the soles of the Gran Torino boots are designed to be replaceable—a further testament to their focus on long-lasting construction. If you’re a warm weather rider, most have stated that these are a bit toasty to be out in anything over around 80 degrees. As far as high performance riding jackets go, this is right at the top of the scale. 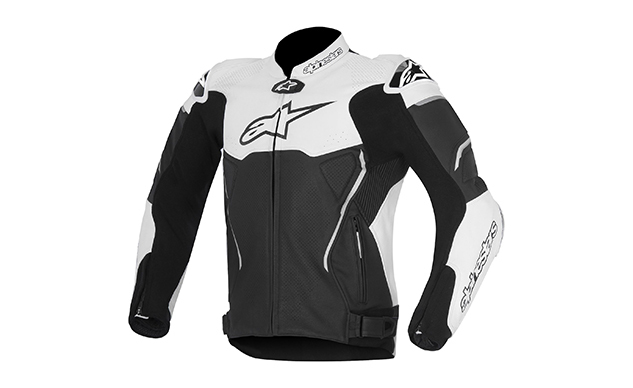 It boasts significant protection and padding where you need it most—multi-panel leather in key locations, premium CE padding in its elbows and shoulders, as well as pockets for additional chest protection padding, and (per their vocabulary) Multiple snap button system to integrate level 2 CE certified Alpinestars nucleon back protector”. This jacket is the upper half of the full Atem racing suit, so if you think you might want to upgrade to a full suit sometime down the line, this would be a good jumping off point. You can always snag the Atem pants at a later date to complete the set down the road. Frustratingly many of the gloves in these closeouts are limited in sizing, but the Celer glove (currently 20% off) is still available in a healthy range of both sizes and color combos. The comfortable and durable short cuff glove is made from full-grain goat leather, layered with synthetic leather and suede in key regions to add further strength and durability where it’s needed most. The additional polyurethane knuckle protection used on these gloves is split into two pieces rather than a single shield across all knuckles, which allows for more flex in the glove’s outer shell. Out of nearly 200 reviews these gloves are tracking a solid 4.4 out of 5, and are frequently praised for both value and (surprise, surprise) durability. Be conscious of your sizing choice though, as according to both Revzilla and user reviews, these run small compared to conventional sizing.